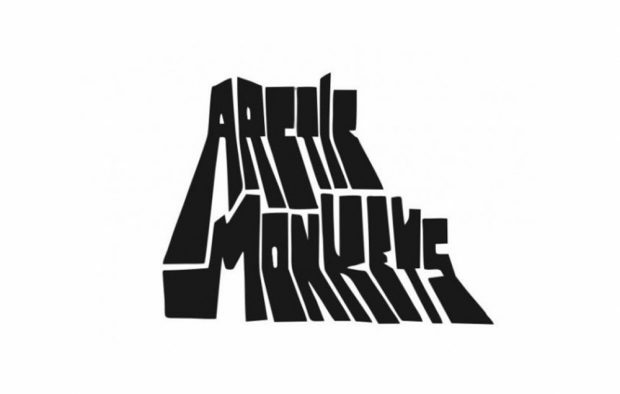 What Can We Learn From Arctic Monkeys' New Logo Font? Alex Turner and co. debuted a brand new logo while announcing their 2018 festival dates, but what could it signify about their return? After five long years without any new Arctic Monkeys material, the band surprised fans and whipped us up into a frenzy by announcing their festival schedule for 2018. With it came a brand spanking new logo, a no-frills font and a shape that could potentially form the basis of the artwork for their sixth studio album. Despite their message being short and sweet, fans have already begun analysing the Sheffield band's new look and considered what it could all mean for their new music. The sans-serif font seems to hint at simplicity, while giving the now veteran rockers a retro look. Slightly Kraftwerk-esque in its nature, the no-nonsense lettering also seems to evoke memories of 80s video games and writing your name on an Etch-A-Sketch, perhaps suggesting we may be getting a more electronic sound this time around? After all, if the unsettling logo which accompanied their more loud and aggressive Favourite Worst Nightmare album is anything to go by, a font can say a lot about the music we're about to hear. But what else can we glean from the rest of the new logo? The black and beige-gold colour scheme is reminiscent of those used in art deco, while the hexagon is giving us some serious Blockbusters game show vibes. While the six-sided polygon could have been chosen to represent the band's forthcoming sixth album, others have noted the five layered hexagons in their social post could signify the five albums that have gone before. However, one Redditor by the name of DoctorFosterGloster has noted that the hexagon displayed on Twitter differs to that on their website, with the latter displaying seven layers of the shape. Could the numbers 5 and 7 potentially indicate significant numbers, such an album release date of 5 July or if they've gone American 7 May? Or is it simply a fluke of design? What's more, the hexagon itself appears to be a living, breathing object, and on their website reacts to the movement of your cursor- growing bigger and bigger the longer you stay on the page. Whatever it's supposed to represent, it won't be long till we learn more about their new music and can all breathe a sigh of relief.